I Love Wine!- For the Lovers of Wine Everywhere! This is a great resource for learning the in's and out's of wine- for beginners and experts! Great info! Amazing wine articles, infographics, tips and videos. Every week! Start your wine enlightenment. Get the I Love Wine newsletter and special offers today. Always amazing. Always free. Beautiful jewelry, unusual home and garden accents! 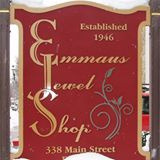 Owner, Donna, is the most precious "jewel" in this shop! She has a great eye for distinctive gifts and you can tell she loves her customers! You will get special treatment when you walk through the door! "Creative designs with a twist. Each piece is one of a kind and custom orders are welcomed!" My friend, Laura, creates magic with wire and beads!